The Manual details the concepts and underlying philosophy of the Dictionary. 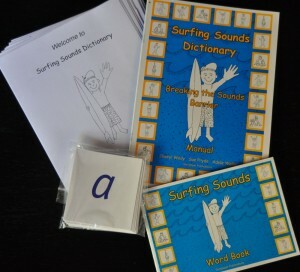 It can be used by the support teacher to support students with difficulties in spelling, reading and writing; it can be used as a program for use by the teacher aide; and it can be used by parents working with their children at home. It is clearly and simply written. The manual comes with a master pages set of the Dictionary, and a number of pages from the manual that can be used as charts or ready reference guides. The master pages of the Dictionary can be photocopied for use at individual or support level only, not for whole class sets. Pack includes manual, word book and letter cards, and CD with PDF version of student dictionary pages.